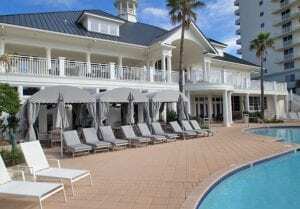 Are you ready to upgrade your vacation at The Beach Club Resort & Spa in Gulf Shores? We’ve got the perfect option to add even more hassle-free fun and convenience to your getaway – a poolside cabana at The Clubhouse. Located just steps from the main outdoor pool at The Clubhouse, the cabanas feature a table with chairs, personal mini-refrigerator stocked with waters and fresh fruit, three padded loungers, TV and a ceiling fan. Want to know more about upgrading your vacation at The Beach Club Gulf Shores? Read on to learn three fun reasons to schedule the exclusive use of a cabana. 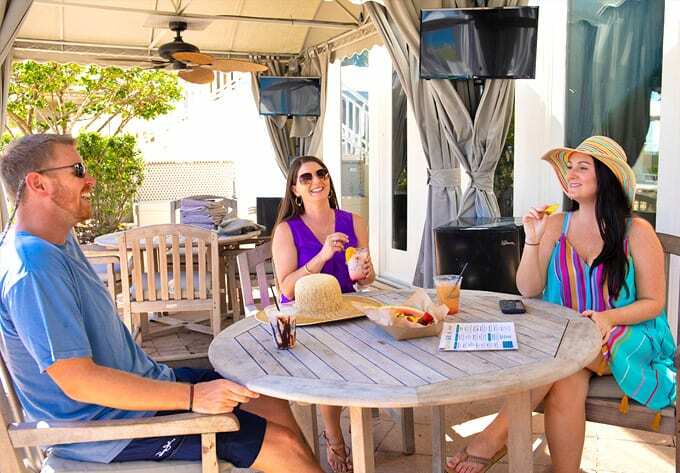 Rather than venturing back upstairs to your condo or cottage, a Gulf-front cabana at The Beach Club offers the perfect spot for your family and friends to gather throughout the day. Because the cabanas are fully equipped, it’s easy to rest and relax and even escape the summer sun. You’ll have your own, private table to use for snacks, lunch or dinner throughout the day from the Gulfside Grill and the fridge comes stocked with bottled water and fruit. You also never have to worry about having access to poolside beach chairs, because each cabana comes with three comfortable loungers. A cabana can serve as your home base while everyone enjoys their favorite activities, whether on the beach or poolside. The ceiling fan makes it the perfect spot for a respite from the sun, especially if you have children in your group. A cabana puts you close to the hub of activity at The Beach Club Gulf Shores. The kids will be near many of the resort’s most popular activities, including Toby the Turtle Pool Parties, belly flop contests, poolside crafts and more. Mom and Dad will be near the poolside grill where they can order up their favorite craft cocktails and a heaping helping of the chef’s Roasted Pepper and Olive Hummus, Popcorn Shrimp Wrap, Laid Back Burger or five different sushi rolls. The main Clubhouse pool is just steps from the cabana, as well as a kiddie pool and an indoor pool. And, you’re also just a short walk to the beach. While there are hundreds of upscale condos at The Beach Club in Gulf Shores, cabana rentals are in limited supply with only four available. To ensure a cabana is available during your vacation, be sure to reserve it in advance. All guests can book the cabanas, however, guests of Spectrum Resorts receive a 10% discount on the $150 daily rate, making the rate $135. To rent a cabana, call a concierge specialist at (251) 224-2582. Make the most of your family vacation this year by booking a poolside cabana. But first, start by reserving your place in the sun at The Beach Club Resort & Spa in Gulf Shores.